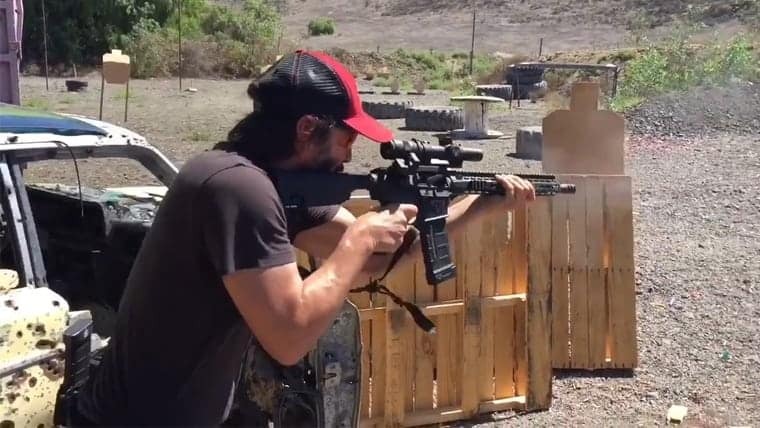 A recent viral video produced by famous 3 Gun shooter Taran Butler showcases actor Keanu Reeves training for his latest film role. In the below video Keanu rapidly clears a 3 gun stage with a variety of custom firearms produced by Taran Tactical Innovations. Included in this trio of firearms is a Taran Tactical Innovations TR-1 Ultimate rifle build featuring a Criterion barrel engineered to meet the demanding specifications of Taran himself. More details regarding the TR-1 Ultimate can be found on the TTI website here. This entry was posted in Articles, Industry Partner News, News, Videos. Bookmark the permalink.